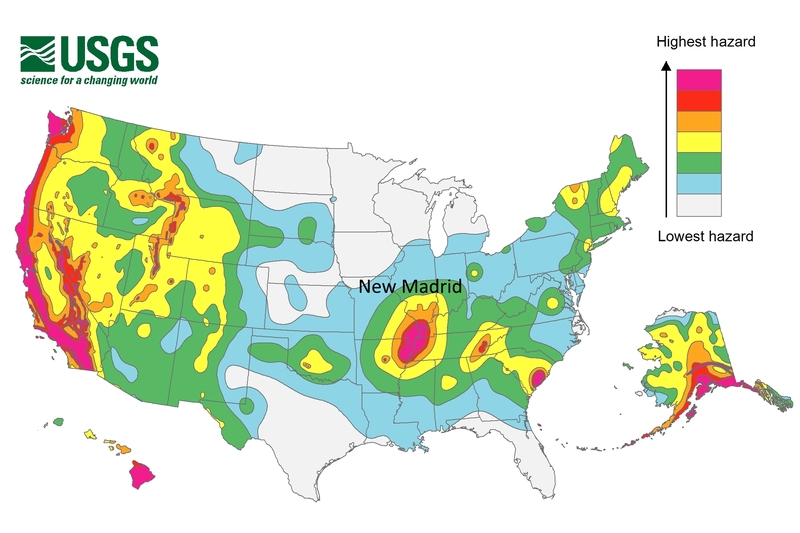 The most famous New Madrid earthquakes occurred from December 16, 1811, through February 7, 1812. The three main earthquakes measured 7.3-7.5 on the Richter scale. Aftershocks persisted through 1813. This powerful earthquake was felt widely over the entire eastern United States. People were awakened by the shaking in New York City, Washington, D.C., and Charleston, South Carolina. Perceptible ground shaking was in the range of one to three minutes depending upon the observers location. The ground motions were described as most alarming and frightening in places like Nashville, Tennessee, and Louisville, Kentucky. Reports also describe houses and other structures being severely shaken with many chimneys knocked down. In the epicentral area the ground surface was described as in great convulsion with sand and water ejected tens of feet into the air liquefaction). The New Madrid seismic zone is underlain by the Reelfoot Rift, a large fault zone with mainly horizontal movement. It is speculated that this rift was formed about 750 million years ago during the breakup of the supercontinent Rodinia. The Reelfoot Rift failed to split the continent, but remains a weak area in Earth’s crust. From time to time, pressure from the movement of tectonic plates causes movement on this weak area resulting in earthquakes. 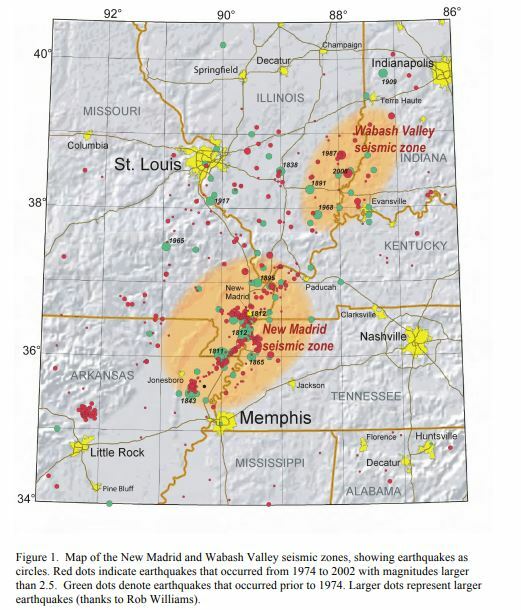 Posted in Geology and tagged earthquakes, new madrid on January 15, 2019 by wryheat2.